I’m sure these guys will prefer him beating up other guys now that he’s a Golden Knight. 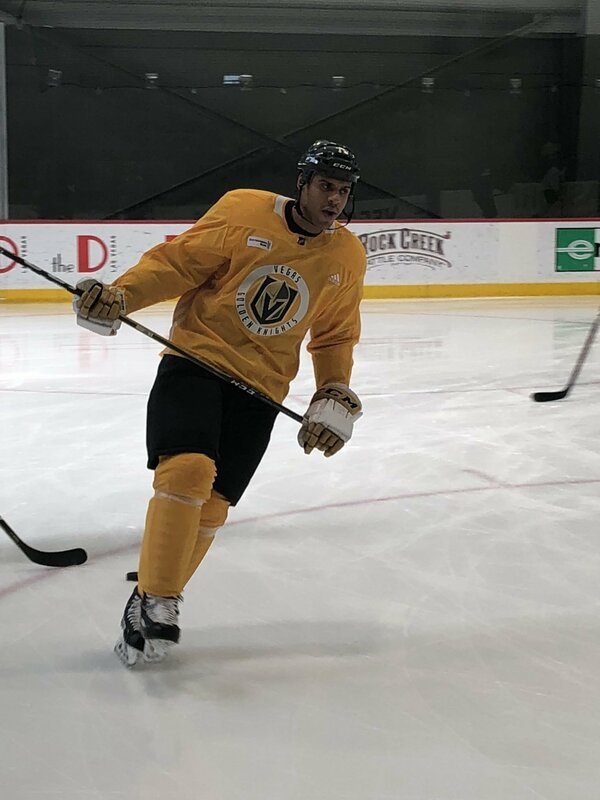 Ryan Reaves is the new guy on the Golden Knights locker room, but he’s not exactly a new face for many on Vegas’ roster. Reaves was drafted the same year as Neal. Neal went 33rd overall to Dallas, Reaves was selected 156th by St. Louis. These two mostly know each other from playing in the Central division for many years. In this clip, Neal stays patient from a rushing Reaves and lands a big shoulder check. Reaves and Perron played in St. Louis together from 2010-2013 and then again in 2016-2017. Reaves shows his hand-eye skill with this nice deflection for a goal in 2013… on Marc-Andre Fleury. Deryk Engelland was also on the ice for Pittsburgh picking up a minus -1 on Reaves tip. James Neal and David Perron were also in the lineups that night. Reaves may know Engelland better than any other teammate. He may want to start by giving Captain Concierge a gift basket of some sort. The two have thrown down three times in their careers. It was an NHL enforcers trilogy. The first fight took place on 10/08/11 in Pittsburgh. Voters gave Reaves a slight 55.6% win. The rematch on 11/09/13 in St. Louis, Reaves again edged out Engelland 50.6% according to the voters. The third bout took place on 12/19/15 in St. Louis. After two close loses, Engelland donning a Calgary sweater went after Reaves again. Unfortunately, the voters went against Engelland again, and voted Reaves a 73.2% winning margin. Speaking of Fleury, Reaves has snuck a few by his new teammate. We all watched and argued about Reaves tally earlier this month. My media bretherin and I disagree, so you decide, was this a slick shot by Reaves or a bad goal by Fleury? Reaves spoke about his snipe after the Penguins 5-4 victory over Vegas on February 6th. Reaves and Sbisa traded monster hits on each other on 10/18/16. The VGK defenseman might’ve gotten the better of his new teammate. Played 9 games in 2016-17 together for St. Louis. Reaves fought the IR’ed Stoner on 1/2/15. Fans voted Reaves as the clear winner by 94% of the votes.